Direct techniques for entering into an out-of-body experience are used without the prerequisite of sleep; by performing specific actions while lying down with the eyes closed. The advantage of direct techniques is that, in theory, they can be performed at any moment. 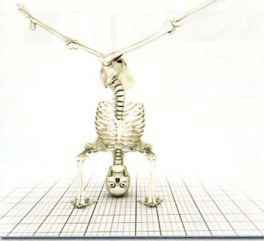 However, a large drawback exists in the length of time it takes to master the techniques. Only 50% of practitioners achieve success after making daily attempts over a period of 3 to 6 weeks. For some, an entire year may pass before results are realized. The difficulty in achieving results with direct techniques is not a problem of inaccessibility, but the natural psychological characteristics of the individual. Not everyone is able to clearly understand the specific nuances involved, which is why some will continually make mistakes. Many practitioners strive to master direct techniques right away because they appear to be the most convenient, straightforward, and concrete techniques. However, it is a grave mistake to begin attempting and mastering phase entrance from this level. In 90% of cases where novices begin their training with direct techniques, failure is guaranteed. Moreover, a vast amount of time, effort, and emotion will be wasted. As a result, complete disillusionment with the entire subject of phase experiences is possible. Direct techniques should only be practiced after mastery of the easiest indirect techniques or how to become conscious when dreaming. In any case, difficulties will not wear one down afterwards, as it will be exceedingly clear from one's own experience that the phase is not a figment of the imagination. Also, an advanced knowledge of indirect techniques will make it considerably easier to achieve direct entry into the phase. Quality of the phase experience is not dependent upon the chosen entrance technique. Direct techniques do not necessarily provide a deeper, more lasting phase over indirect techniques. Direct techniques are better suited for some practitioners and not others, but this ban only be said for a minority of the practicing population. Meanwhile, indirect techniques are accessible to absolutely everyone all of the time. If a practitioner has decides to begin practice with direct techniques or has gained the necessary experience with indirect techniques, the underlying principles of the techniques must still be learned. Without these, nothing will occur, except coincidentally and in rare cases. The key to the successful use of direct techniques rests in achieving a free-floating state of consciousness. However, we will first examine a large variety of very useful aspects and factors that make direct entry into the phase much easier. 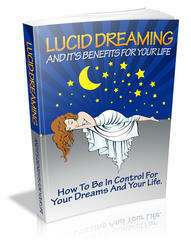 You Can Have Better Success In Business And Life If You Discover Lucid Dreaming And It's Benefits For Your Life!